Ditch the bulky toothpaste tubes and join the new revolution of toothpaste. Ditch the bulky and annoying toothpaste tubes and simply pop a Bite Toothpaste Bit in your mouth and bite down on it. Once you wet your toothbrush and start brushing as you normally do, the Bit releases a minty foam that naturally cleans your teeth. Choose from mint or mint charcoal flavored Bite Toothpaste Bits and join the new revolution of toothpaste. 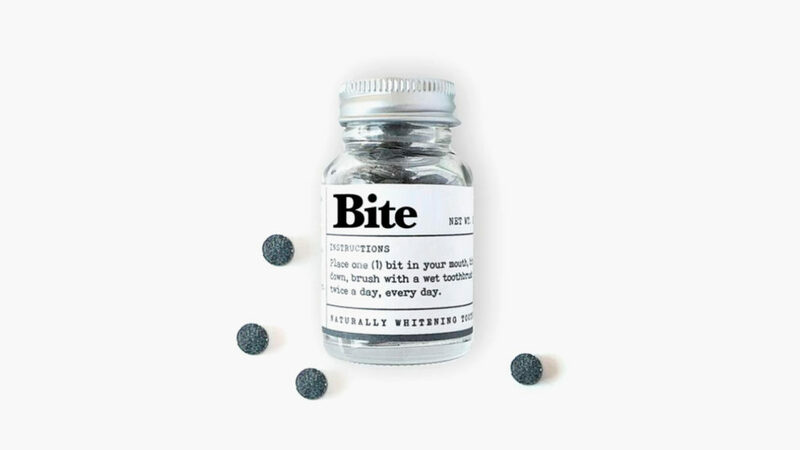 If you’re someone who prides in using all-natural products and are in to doing your part to save animals and the planet, the revolutionary new Bite Toothpaste Bits were made for you. 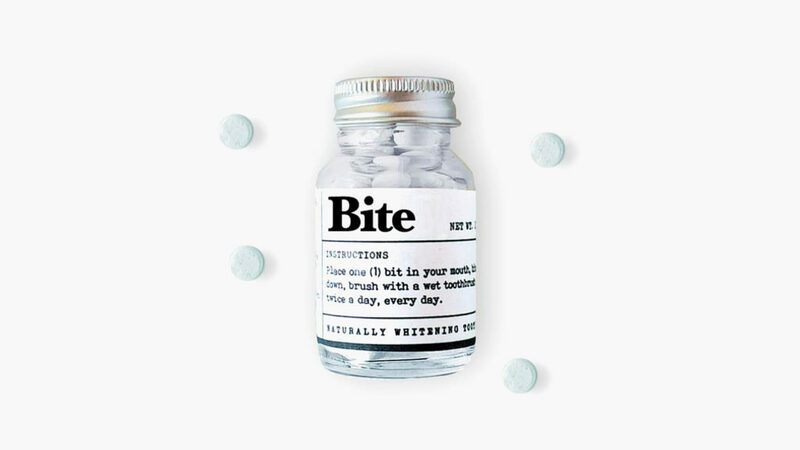 Hand-pressed in LA, these mint sized concentrated bites of toothpaste naturally whiten your teeth, and are organic, biodegradable, cruelty-free, 100% plastic-free, vegan friendly, and fair trade.